This week began a little slow for me. This past weekend, I was derailed by a short mid-winter bug that had me out of commission for the holiday. Being raised on a farm, I always tried to adhere to my Dad’s hard-nosed philosophy, “when you’ve got a nasty cold, you are going to be miserable no matter where you are, so you might as well be miserable working.” However, work these days entails meeting people, shaking hands, and having serious conversations on issues that affect the 104th District. So, despite my desire to get at it, better judgement had me at home where I wasn’t likely to spread the short-term ailment. I unfortunately missed out on our celebrations honoring Dr. Martin Luther King Jr. I regret that, because I have always made it to those events and enjoyed attending ever since I became the County Board Chairman. As a lover of history who’s spent a great deal of my life researching the lives of great Americans, Dr. King is a truly great individual that stands out as a shining example of what our Nation should try to live up to. Currently, with great divisiveness in our country, we need that example more than ever! 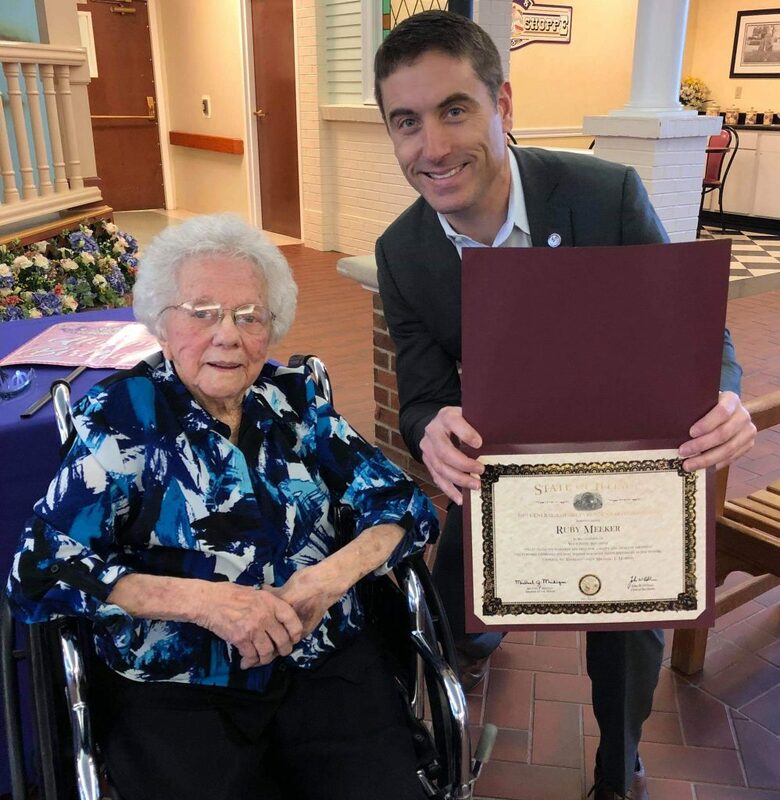 Birthdays are special events; however, they are extra special when you are celebrating someone turning 105! 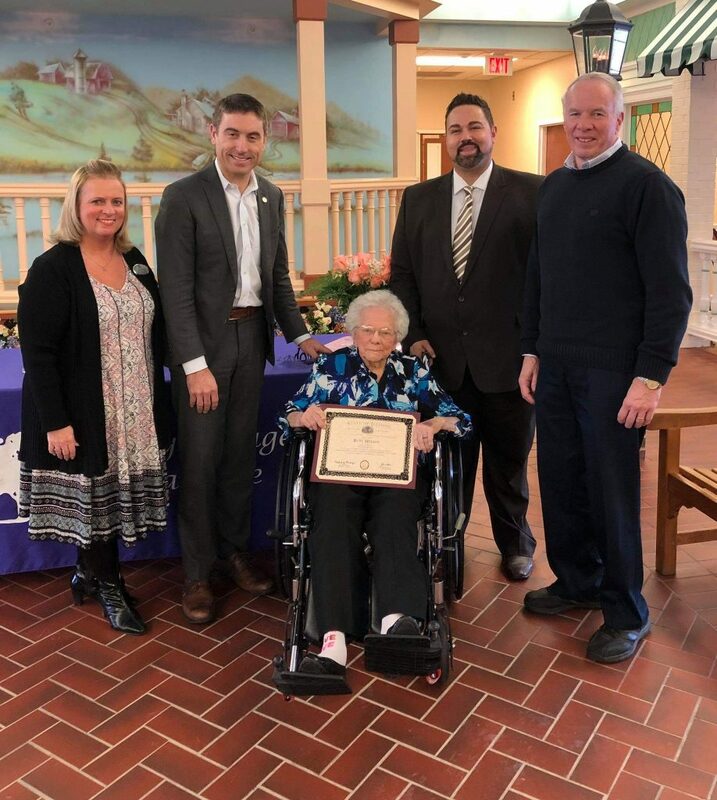 I was honored to attend Ruby Meeker’s 105th birthday party at Liberty Village this week. Ruby is a wonderful lady and it was cool to spend some time with her. It isn’t often you get to talk with someone who has seen the changes in our world that she has in her lifetime. Ruby was born the same year WWI broke out in Europe and had a front row seat for the most important events of our times: The Great Depression, WWII, and the Tech revolution. She talked about growing up on a farm in an area that is now part of the City of Danville, playing piano at the Second Church of Christ for years, and working at the Chuckles Candy Factory back in the industrial heydays of Danville. Happy Birthday to Ruby and here’s to many more! We had traveling office hours this week at the Champaign County Chamber of Commerce. It is extremely important to me to have a presence in every corner of the district. The most important part of this job is being accessible to the public so I can help with issues, answer questions, and get input needed to make good decisions in Springfield. We decided that I would rotate office hours every month, one month at the Champaign County Chamber and the next month at the Rantoul Area Chamber. We will soon have a regular day of the month set. If you get a chance, please come by and see us. Your input is important. To round out the week, I toured some assisted living facilities in Danville and Rantoul, and I met with the Champaign County Township Road Commissioners to discuss infrastructure needs. I can’t think of two more pressing issues for the 104th District: senior facilities and local infrastructure. These two items will be on the top of my priority list as I head to Springfield this year. I know the need for affordable senior housing in this area is immense. I am making it my goal to learn all about our districts resources for seniors, figuring out the areas we need to improve upon, and bringing this information with me to Springfield to work to bring these resources into our district. Infrastructure has been a top priority of mine since I started working in public service in Township Government. Through these experiences, I am well aware of the challenges in front of us to receive the vital resources for our district. Starting these conversations and continuing to work with the people who deal with local transportation issues on a daily basis will provide me with the necessary tools to fight for us in Springfield. 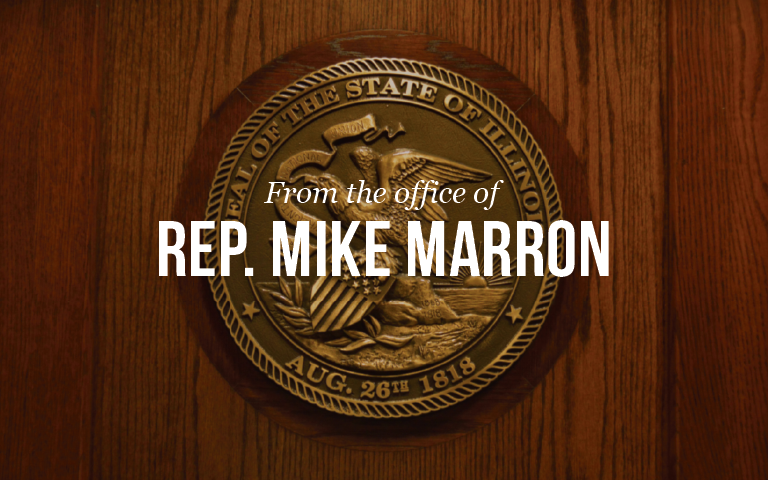 I am committed to making sure Champaign and Vermilion Counties receive their fair share of infrastructure dollars for our much needed improvements in the 104th. I’m looking forward to getting back to Springfield next week, rolling up our sleeves, and starting the legislative process. I filed my second bill this week, creating a revolving loan fund for municipalities for road infrastructure projects. I’m also working on a Resolution mandating that downstate receives its equitable share of infrastructure spending. I’ll be working hard over the next few weeks talking to colleagues about my initiatives and getting the legislative process started. Thank you for your feedback and please get in touch if we can help!